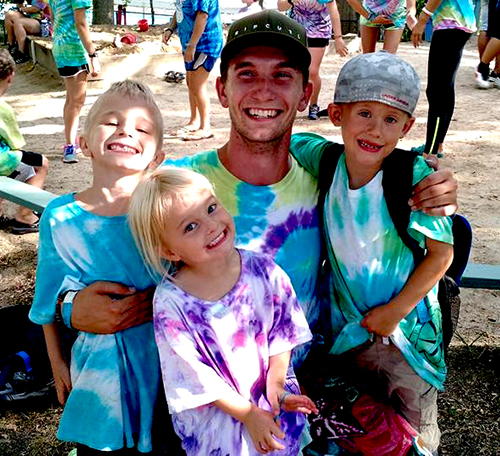 BDC’s flexible weekly schedule is designed to accommodate the needs of individual campers and their families. The following describes the BDC schedule and our activities. Spanning eight 1-week sessions, BDC offers full-day full-week schedules (Monday through Friday) for campers five years old and up, and partial-week schedules for young children under five. Tent Groups – K-8th grade campers are divided by gender and age into Tent Groups. A camper’s tent group is his/her family for their time at BDC. Tent groups are generally between 14-16 campers with 2 university students as Tent Counselors. This unit of 2 adults and approximately 15 campers travel to various activities, following a written Central Schedule. The Central Schedule allows Tent Groups to switch activities approximately every 45 minutes throughout the day. Afternoon schedules allow for choice periods commensurate with age. Hills – BDC organizes the Tent Groups into age-appropriate hills. Each Hill is monitored by a Hill Head who oversees the Tent Counselors and supports campers and families throughout the day at BDC. Hill Heads report to the Camper Life Director who offers additional support when needed. BDC’s Central Schedule – The Central Schedule is written for the season based on a one week rotation. During a one week schedule, a camper is guaranteed to visit every activity at least once with his/her Tent Group. In addition, that camper may have the opportunity to attend each activity another time during Choice Activity Periods in the afternoons. BDC Activities – Activity Heads and Program Staff create scope and sequence curricula in each area. Because the Tent Counselors engage with the campers during the activities, BDC campers enjoy an adult to camper ratio of approximately 1:6. Many BDC Activities are of our own creation. These activities emphasize creative play and interpersonal skills building in various ways. Art: (both two- and three-dimensional art) is offered in our open air studio. Campers enjoy a unique curriculum created with equal emphasis given to art process, art production, art history, and art critique. Campers enjoy making as well as discussing art in our program. Archery: Campers follow the established standards of the National Archery Association to learn safety, technique, and concentration while enjoying the thrills of shooting arrows into targets with bows. At Archery, BDC campers learn to control their breathing and their focus while earning target points and achieving rank work. BASE: Boating And Sailing Experience is BDC's idyllic waterfront activity. In an extremely safe environment, campers explore canoes, kayaks, Day Sailors, Sunfish, and 420 sailboats in both Little and Big Cliff Ponds in Nickerson State Park. Campers and counselors always wear life jackets and are overseen by our certified staff from our chase boat and from within the camper boats. For campers wishing to go beyond sailing basics, we encourage campers to enroll in our BDC Sailing School. See details in the "Extras" section. BDOC: Brewster Day Camp Outdoor Challenge and is our camp's Low Ropes Challenge Course activity comprising a ten-element course and fostering teamwork through group and individual challenges. The BDOC Activity Head is a trained and experienced Low Ropes Instructor who facilitates communication amongst the group, as well as problem-solving and individual leadership skills. LEAP-Out: Learning Exploring And Playing and is BDC's activity focusing on a campers ability to explore interpersonal relationships and our connection to each other and the larger community. This activity offers campers the opportunity for coaching and oversight of group play, to increase social skills, and to embrace community service while getting OUT of ourselves and away from our camp community through this activity. LEAP-In: In this activity campers learn all about BDC and camp-related themes, beginning to embrace more abstract ideas such as "our place in our world" and are directly coached on interpersonal skills building through group play. Field Sports: Our Field Sports activity teaches younger campers basic skills, focusing on one or more sports per week. Older campers travel off-campus to the local public fields and play big group games such as soccer, baseball, Nauset Ball and more! STAR: Song Theater And Rhythm is housed in our STAR Yurt and adjoining assembly area. Campers enjoy singing, making music, and exploring various theater games in this creative performing arts activity. Each week, interested campers join the BDC Players and produce a wonderful theater performance for the entire camp on Friday afternoon in our open air theater in the round. SWIM: Regardless of age or skill level, every camper is offered a once daily Red Cross Swim Lesson in our environmentally-friendly pool. Each afternoon, campers may visit the pool a second time for a free swim. In addition, older campers are invited to travel off-campus by foot or by bus to swim in the many local fresh water ponds or at the salt water ocean beaches. BDC's many Red Cross Certified lifeguards remain vigilant about safety when campers are in or near any water. Additionally, our pool is open and lifeguarded free of charge every evening from 5-6:30 so that campers may enjoy a Family Swim with their loved ones - picnics are welcome! MUGS: Mixed Up Games and Stuff is one of BDC's most popular activities for girls and boys both young and old. In this activity campers make up their own games and rules. At MUGS, campers learn that creativity can be found on a big sandy ball field while also learning the values around sportsmanship. 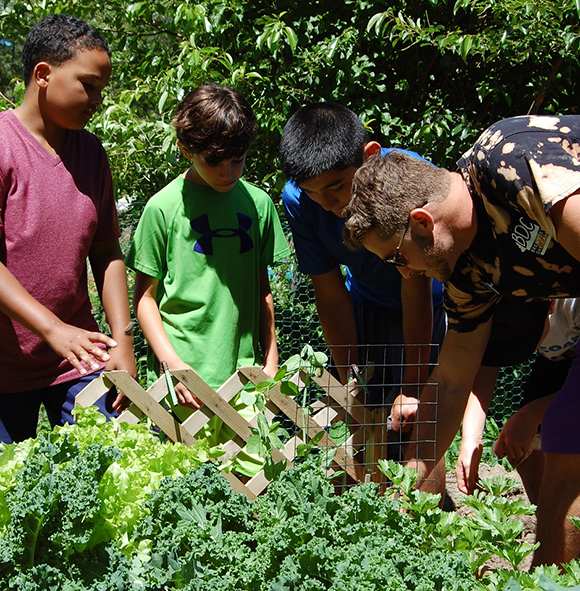 ECOD: Everything Cape Cod is our nature activity thus named to entice campers to become environmentalists and naturalists while learning the joys of living on a healthy planet and embracing ways to take care of our precious Earth. ECOD has its home base in our Science Yurt though campers travel by foot into the adjoining park to explore frog ponds as well as travel off campus by bus to all sorts of interesting venues. This activity also incorporates STEAM concepts into its curriculum. Special Events Days – BDC Special Event Days are offered to regularly scheduled campers at no extra charge during the week that the camper is enrolled. All Special Events take place rain or shine. 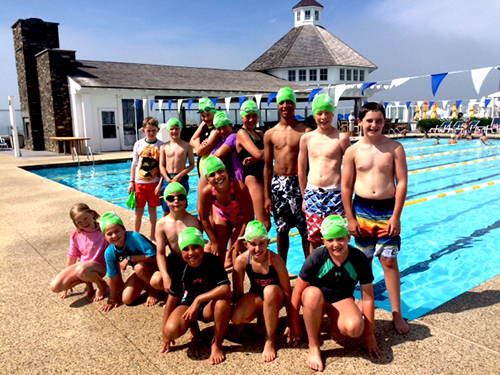 Wednesday Swim Meets – BDC welcomes guests such as Cape Cod Sea Camps and the local town recreation programs to swim in our pool against BDC swimmers. Each camper receives first through fifth place ribbons in their individual races. There is no limit to the number of races a camper may enter. Parents are welcome to attend BDC Swim Meets and cheer from outside the pool! Choice Activity Periods – Each afternoon, BDC offers Choice Activity Periods for one or more hours depending on age and day of the week. Daily, campers choose to revisit favorite activities to engage further in the rich curriculum offered.